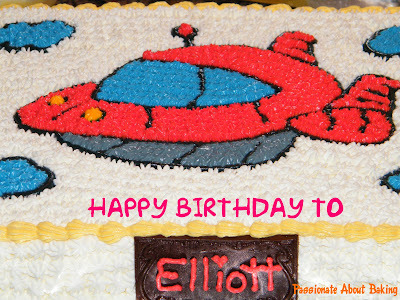 About a month ago, my colleague told me she will order a cake for his boy's birthday from me. She had told me initially that her boy likes Thomas The Tank Engine Train. Then I immediately thought of baking a cake covered with fondant and moulding Thomas. 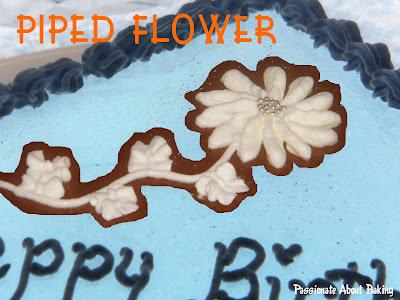 As I've not done this kind of moulding before, I asked You Fei of Loving Baking about her experience in her fondant birthday cake. She was really very kind and helpful. Not only did she shared with me her experience, she pointed me to a site which has a step-by-step guide on how to mould Thomas the Tank Engine Train. I was quite diligent...I went through the steps, studied it carefully. 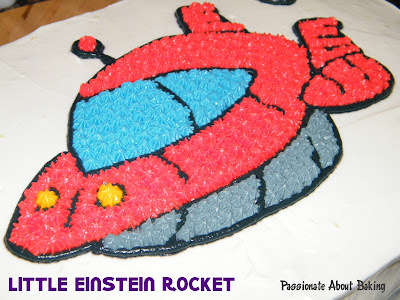 Then three weeks ago, my colleague told me, his son wants a Little Einstein birthday cake. I almost fainted. Gosh! Now I'll have to search for Little Einstein images. From our conversation, I reckoned she wanted a simple cake with frostings and not those fondant kind. I remembered that Rei had posted up quite a number of cakes on whipped cream frostings. So I dropped her an email to check with her about the details etc. She was really very nice too! She was really patient to explain to me the details, how and what. And her responses were very fast too. I was really appreciative of her kind advice even though she sells her cakes, she was so willing to share what she does! So I've gotten an idea how I should decorate the cake. 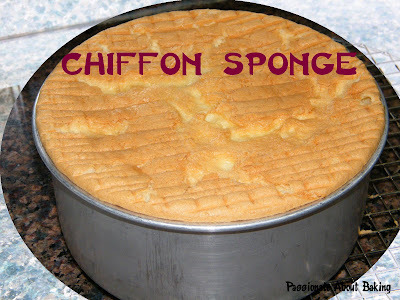 One of my workshop buddy gave me a recipe for good chiffon sponge cake which I tried too. I was gearing up, preparing for my first big cake order. However, beginning of this week, my colleague told me that her in-laws wanted a simple cake for their small celebration on Thursday. I (so daringly) propose to bake one for her. 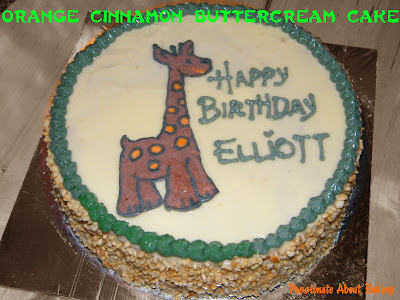 We settled on a simple Orange Cinnamon cake with buttercream frosting on the 8" cake. 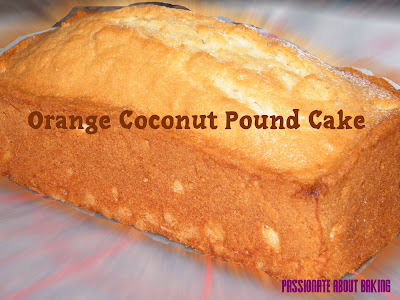 I suggested the Orange Cinnamon cake because my blogger friend, Adel, sent me a recipe for it as she & I were just great fans of this combination. 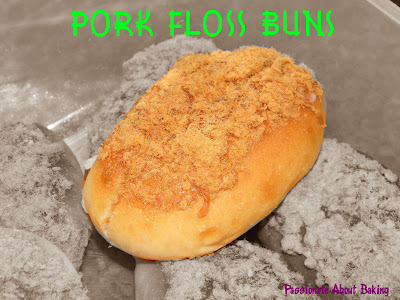 She knew that I had previously attended a workshop which provided this recipe and that I cannot sent her this recipe, she formulated one herself. 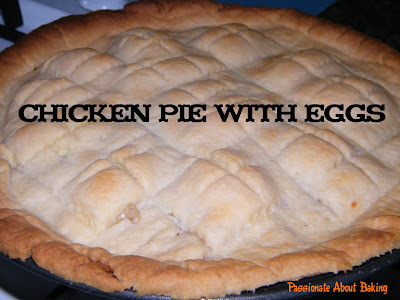 She was really kind enough to share this recipe with me! Heehee... So my cakes were made with so many help from so many blogger friends!! This blogging has really brought me more benefits than disadvantages! So on Thursday, I delivered a smaller cake to my colleague. And I started preparation for the bigger cake to be collected on Saturday. Finally, the cake was done. 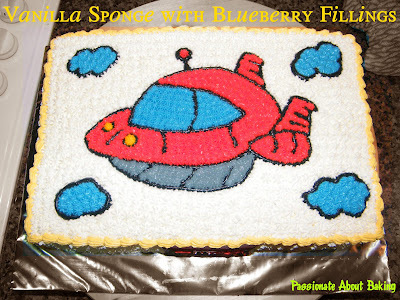 I was really satisfied with the final cake design. My colleague came to collect the cake on Saturday morning. Then I proceed to bake another cake!! My sister ordered a birthday cake for her friend the following day. I suggested a chocolate fudge cake. As I've tried this cake before, I was confident of the richness of this cake. It's really a keeper. I did some simple frostings to make it more presentable. I hope the group likes it. How much can you achieve in a day? How much can you achieve in a day, assuming you don't have to do housework? I wonder what do employers do when their maids are taking their day off on a Sunday. It was my helper's day off today. She was really kind to help me to settle the children's basic needs (like preparing breakfast and bathing them) before going out. 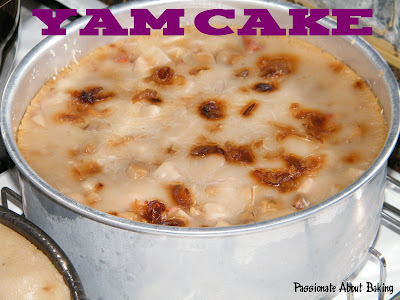 That left me enough time to do my Yam Cake in the morning. 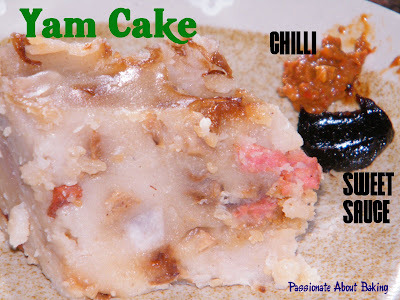 I had some frozen yams from PH previously and thought I might as well use it for my yam cake. I didn't really follow the recipe exactly, and so, I think the yam cake didn't turned out that well. Fortunately, it's is edible! While the yam cake was steaming, I spent time with my twins to do some fondant moulding. Quizzine has very kindly did a step-by-step guide for Grace and myself on moulding bumble bees. So I thought I might as well do it with my children. 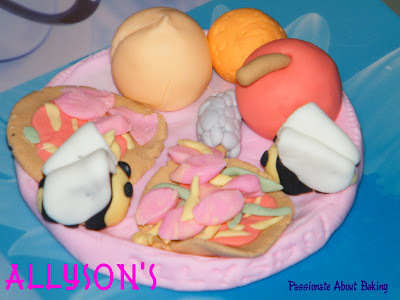 As the more we mould, we ventured into moulding other stuff - fruits and pizza. Finally, here was what we did. After lunch, we went to Kitchen Capers to buy some stuff. Gina was there, preparing for her demo class at KC. Then we came back for my children to rest as my daughter was not feeling well. 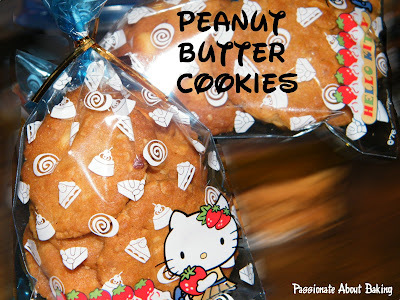 While they were on their "independant" mode, I had the chance to do some bakings. No prize on guessing what I baked! 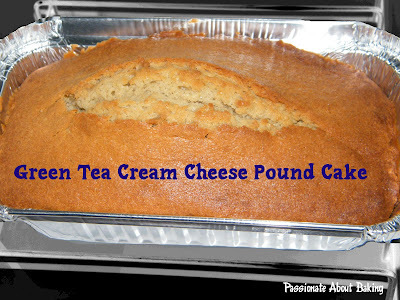 It was pound cakes again. 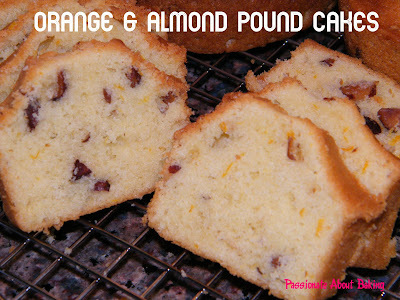 This time, I decided to add chopped almonds to the pound. After baking, I prepare ingredients for dinner. 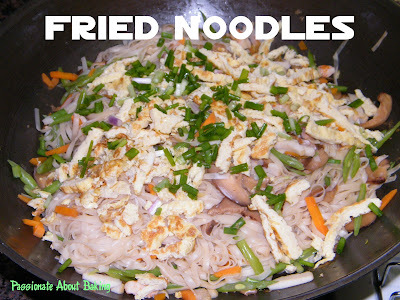 When my helper is not around, I'd prefer to cook very simple dish - fried noodles. It's good and it's easy. My hubby and myself are great fans of noodles! When I was taking my dinner, then I realised how tired my feet was! It just feel so good to be seated and resting!! 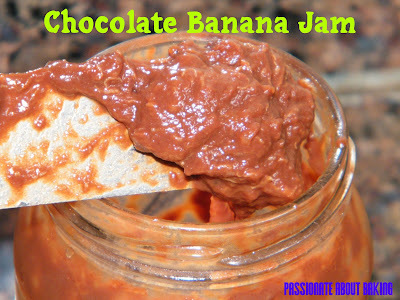 I also made some chocolate banana jam because my children told me that they like the bread with jam in school. So I thought I'll made them some jam. However, after I made the jam, they didn't want to take it. *sigh* children! Today, I decided to bake some breads, and swiss rolls was decided some last minute. Nowadays, I like to prepare bread dough the night before, and do the rest the following morning. Usually, it'll be Friday prepare dough and Saturday to mould and bake. Then I'll leave the dough in the fridge to proof. I also added pre-ferment dough to the fresh dough to make it softer. Today, I made plain buns (for my egg mayo), pork floss buns (of different shapes) and white lotus buns with black sesame seeds. It's really not easy baking food for a family of 6. If they like the food, it'll be gone in a day or two. However, if they don't like, the food can be kept for a week and nobody eats! I had to bake about 16 buns on weekend to see us through Sunday breakfast. That means 400g of flour (bread + plain). See what I meant by feeding a family of 6, almost like a small football team! 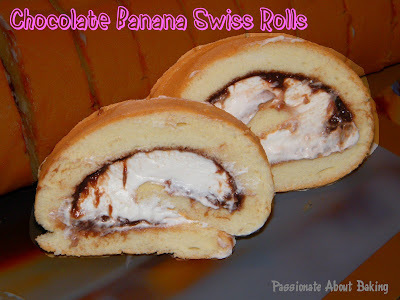 I was testing out the swiss roll cake sheet for a cake order next week. Not wanting to waste the cake, I used the chocolate banana jam as my filling and added whipped cream to it. It tasted rather good, even though the whipping cream was rather thick. 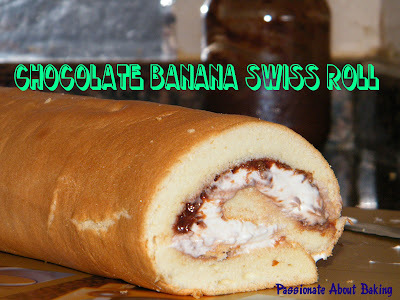 I've not baked swiss rolls for a long long time! Very often, I'm marvelled by many things in this world like, how tunnels are dugged, how bridges are built across the sea, how mega structures are constructed etc. Have you ever wondered about these, like me? Maybe I'm just inquisitive and curious about such technologies. I supposed that was also part of the reasons why I like to attend workshops, so that I can learn about the art and science of baking. For someone who loves cakes and pastries, it meant, naturally, I also love coffee too! Coffee and pastries (and cakes) are complementary to each other. I think only one of out four persons don't drink coffee. Yes? No? I cannot imagine having my cake without a cup of latte or cappa when I'm in a cafe. Precisely for this reason, I signed up for a Barista workshop! 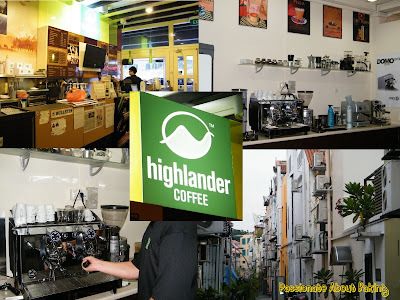 After surfing the web, I found this: Highlander Coffee. I was interested in their Combined Espresso Workshops (Pro Level I and II), which comes with a free book too! 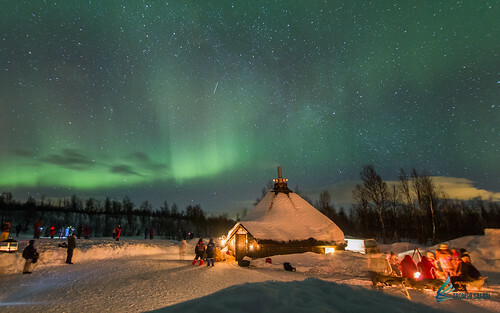 Having reviewed the availability of the dates carefully, I signed up for two places - my hubby and myself. Finally, the day has arrived. I've been looking forward for this workshop since my last workshop in early September. Day one started with knowing the different types of coffee beans, how best they are extracted, how to use the espresso machine, how to stream and foam milk, and, my favourite part, latte art. 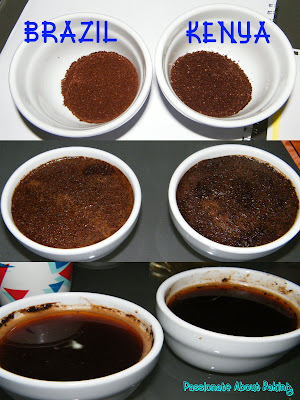 Day two was practicing the gourmet coffee brewing, practical and theory test, and cupping. On day one, we were shown how to use the espresso machine, the step-by-step on the preparation from coffee beans to cappuccino, and how to manoeuvre the cup and the milk jug to get the desired design for presentation (known as latte art). 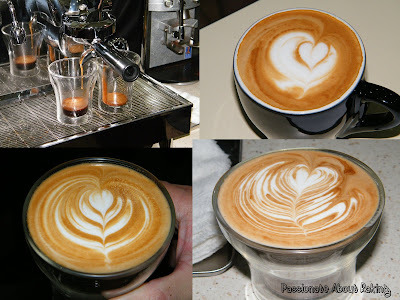 It was really a form of skill and practices to get the right latte art, just like baking! The different types of gourment coffee were explained and demonstrated - Espresso, Cappuccino, Macchiato, Latte, Mocha and Americano. Okay, the envious part, we get to drink all those gourmet coffees that we brewed! However, many of us, after two or three cups, didn't want to drink them anymore! Hahaha... so what did we do with those coffees that we brewed? We threw them away! We practiced cappuccino and cafe latte all those time. 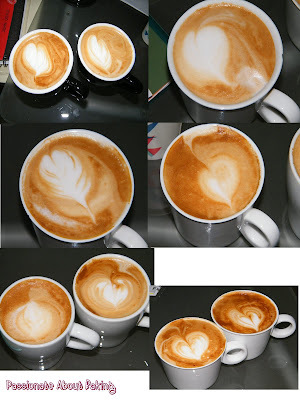 These were some of the gourmet coffees done by me over two evenings. Latte Art done by my hubby. Come day two, we took our theory test, followed by practicing the step-by-step as taught, getting ready for our practical test. I found it easier to brew latte than cappuccino. Why? Because for latte, I can pour in more milk, followed by some foam to form my latte art, whereas for cappuccino, the cup is too so small. By the time I wanted to pour my foam to form the latte art, it was filled to the brim already! Aiyo! However, I realised most of the people there preferred cappuccino. During my practical test, I made two lattes, whereas the rest of them made cappuccino. 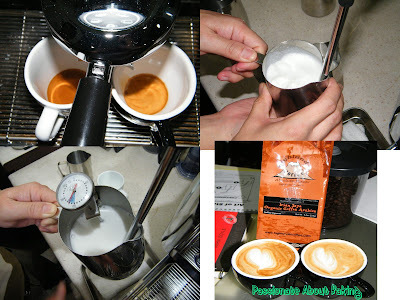 Looks like latte was actually more difficult as we need to steam the milk twice, individually for each cup. For cappuccino, as the cup is smaller, we were taught to use a bigger milk jug (20oz) to steam and foam, then do a milk share which means pouring half into a smaller jug (12oz). 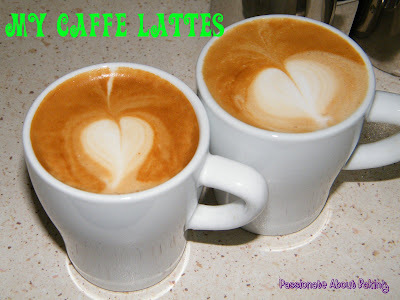 For latte, two 12oz milk jug were used for two cups. These were my lattes produced for my practical test! 1) Take a spoon of the coffee and slurped it into the mouth. 2) Let it roll inside the mouth, then split it out. We did that a couple of times to get use to the taste and assess which one we would prefer. There was no right or wrong, the taste is very subjective for each individual. 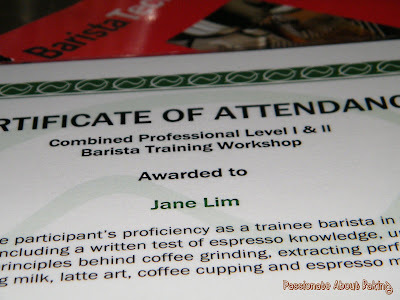 Through this Barista Workshop, I've learnt a lot more about coffee. Being a coffee drinker (no 3-in-1s or instant coffees) for so long, I've finally appreciate coffee more and respect Barista more and look at gourmet coffee in a different way. Coffee drinking, according to Phil, the owner, has evolved over the years. I can't agree more. I hope to share with you, some of the knowledge of coffee I've learnt in the (total) eight hours. 1) Commercially grown coffee beans are Arabica and Robusta. Arabica has the highest in quality and has the most flavour and aroma. Robusta are the least flavour and most caffeine. It is usually used in instant coffees. 2) Once coffee beans have been opened from their airtight bags, they should be stored in a clean airtight container in a cool dark and dry place. 3) Normal french press or coffee maker cannot produce espresso. Espresso refers to a special method of preparing coffee...hard packed into a small metal filter basket...specialize machine which drives the moving water through the coffee ground under significant pressure...releases oil from the coffee producing a thick concentrated extract. 4) Grind coffee beans only upon demand to stay fresh. The moment the coffee beans have been grinded, it'll start losing its flavour. 5) A good espresso takes about 20 - 30secs of extraction time. 6) To make good foam for the coffee, use fresh full cream milk. 7) Ideal temperature of the milk to start is cold, very cold from the chiller. Ideal foamed milk is at 65-70C. 8) Greatest exporter of coffee beans in the world, starting from the largest - Brazil, Vietnam, Colombia and Indonesia. I hope such brief information is useful for gourmet coffee drinkers. At least you know what type of coffee beans to look for when you purchase your caffeine needs! Last but not least, this was the certificate I had attained. Anyone needs a barista or two? I've just started embarking on a new journey of...conducting my own workshops. For the past few weeks, I've been busy with trying out new recipes, working out how workshops should be conducted so that people gained the most out of it. I'm very glad that there are people and friends out there who believe that I can teach and share my experience with them. I had my first Roses Decoration Workshop yesterday. There were two participants in the workshop. I decided to proceed with them, even though my ideal was four. Because the number was small, I was able to provide them with all my attention. The workshop went on smoothly and as planned. I prepared some Rose tea (since the theme was RoSe) and snacks for them. We had fun though, and the setting was casual. I hope to continue with this workshop, to provide more people, be it home bakers, passionate bakers or even students, the knowledge and the skills to mould roses to decorate their cakes and cookies. I've launch another workshop - Parent & Child Brownie Workshop. This workshop aims to provide the parent & child the knowledge to bake brownies, frost it with chocolate ganache and topped them with thousands & thousands or dragees. 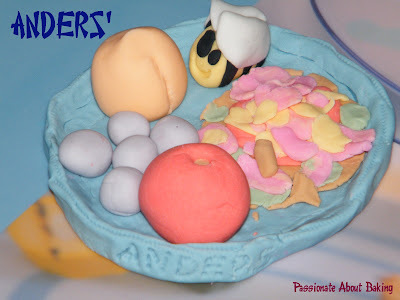 This is one good way to keep your children occupied and to learn new baking skills during the school holidays! One more workshop you can look forward to is The Perfect Pound Workshop. 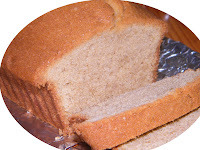 In this workshop, you'll get to learn how to bake good pound cakes that can be served at any occasions. 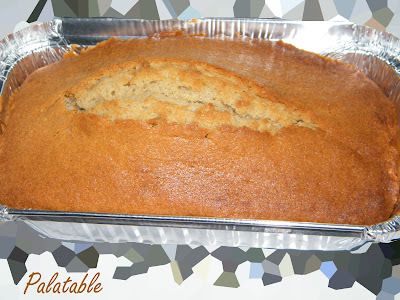 Since Christmas is just round the corner, home-baked pound cake is one good X'mas present you can impress others with! Check out more details in PALATABLE website. 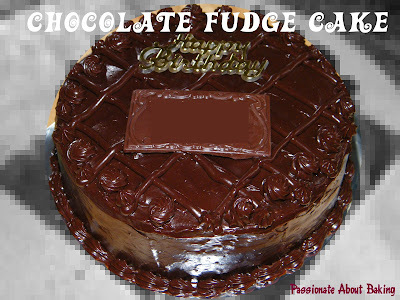 I was thinking during earlier of the week what I shall bake for my friend's birthday gathering. I wanted to bake chiffon cake initially, but the box will be quite bulky for me to bring from one office to another office for a meeting. The idea of baking creamed cake was also out. 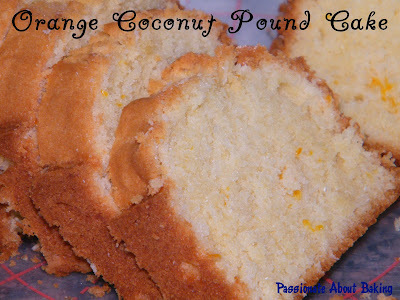 Finally, I settled on pound cake (again!!) 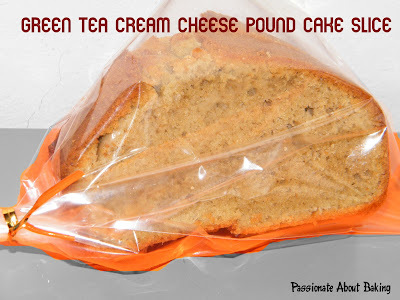 Okay, I really have to admit that it's one of the easiest cake to bake, take and give. No frosting required, easy to pack. Simplest for lazy people like me. :p I also thought that since we are going out for buffet dinner, there should be nicer and better cakes in the cafe, so I might was well bake something for her to bring back. I baked two pans so that I can cut some smaller shares for the rest of my friends. Anyway, we had our celebrations at Cafe 2000, M Hotel. I thought it was really worth mentioning this place as the food, the service and the prices were all good! Using Citibank credit card has a discount of 1 for 1 at $40+++ per pax (before discount). This is a semi-buffet where you get to select your main course from a menu with five varieties. They have buffet table of sashimi, salads, seafoods, some cooked food and a good spread of desserts! What's more, they arranged for a rather big slice of cheesecake for my friend upon my request. And a couple of the service staff actually sang the birthday song for her. She had a very pleasant and unforgetable evening! 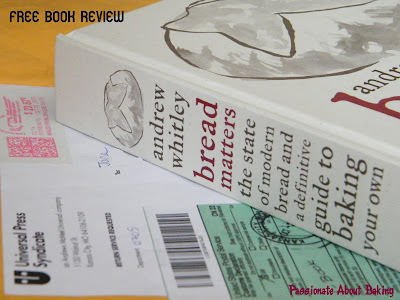 Two weeks ago, I received an email from "Andrews McMeel Publishing" asking if I would be interested to receive a book called "Bread Matters" by Andrew Whitley. Of course I said "yes" and gave them my shipping address. I was looking forward to receive the copy of the book from them. The good catch was that, I was not even obligated to mention this in my blog, wasn't that great? I was elated when I got this in my mail this morning. The book is a new copy, with no pictures. The book has very good theory and explanation of the ingredients being used for breads. Accordingly, it's supposed to be suitable for homebakers, which is us! I shall read through this book in detail, try the recipe, and share to you soon. My day is very fruitful today. Very very fruitful. I woke up very early in the morning and went to the gym to exercise. Came back to prepare my dough for my focaccia. Followed by shortcrust pastry, then ingredients for my muesli bars. The focaccia dough was actually a failure. I added too much water and instead of dough, it became a BATTER! OMG! I wondered what would happen if I proceed to let it proof. Nevertheless, I refused to throw the batter into the bin. I continued with the steps as if it was dough, even though it was really really very wet and sticky. Finally, I baked it in the oven without sprinkling some olive oil on top. I was already disappointed by the outcome, so didn't bothered too much about it before baking. 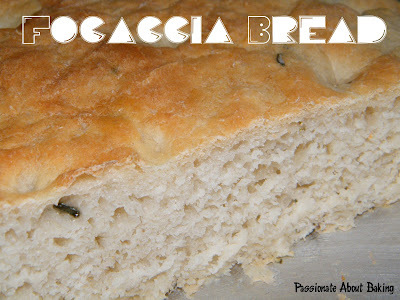 Fortunately, the focaccia turned out to be alright. I've learned my lesson well this time! My second bake, muesli bar didn't turn out well too! What happened to me today? Wobbling hands due to exercise? Ah...no excuse no excuse! I added too little butter and light corn syrup into the mixture, so it didn't blind well when I baked it. Actually, I like my muesli bars to be natural - less sugars and less fats. It was supposed to be healthy snacks right? 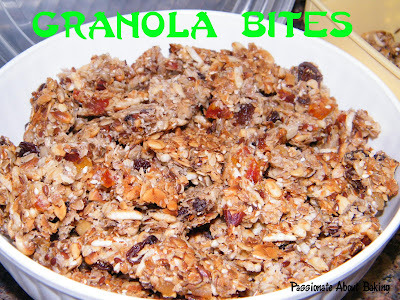 So in the end, I broke them up into smaller bite size pieces and name it Granola Bites! In the afternoon, I still managed a trip out to Tampines Giant to buy groceries and other household items. Came back to prepare dinner for the family. 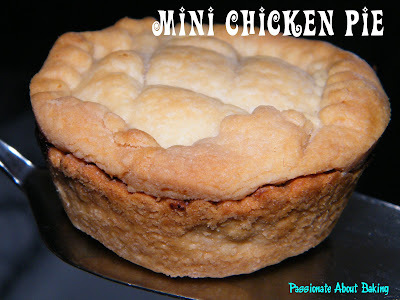 I made chicken pies using shortcrust pastry. Fortunately, the pies turned out to be good! Time is always ticking away. It's difficult sometimes to decide what you want to do when time is not on your side. Lately, I was quite busy with work, followed by course assignments (from work), baking and surfing for recipes. Also, school exams are drawing nearer. I still have to spend time coaching my eldest son once a while, even though I've out-sourced his learning out. That was also my excuse for not updating my blogs as often now. 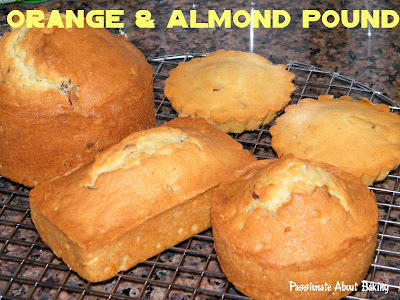 I found that no matter how busy I am, I will set aside sometime to do some baking. It's a "mandatory" activity I just have to do. I think I derived satisfaction when my bakes turn out to be good. If it didn't, I'll be disappointed. Then I try to analyse what went wrong. I try to make it a point to take notes on the bakes, what was reduced, what was added, what was the temperature etc. So that the next time when I use the same recipe again, I'll just follow exactly. This week was no different. Some bakes, some good, some are not. Here are the consolidated list for this week. 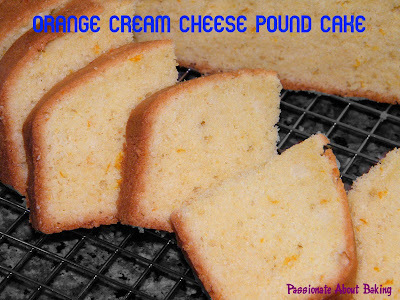 Orange Cream Cheese Pound Cake. 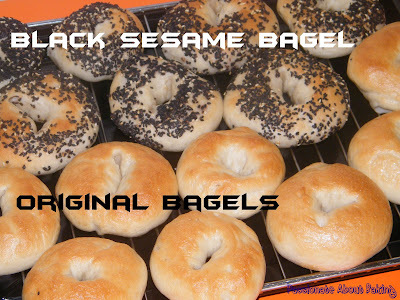 Last weekend, I tried my hands at baking bagels. Unfortunately, it didn't turned out well. I was rather disappointed. 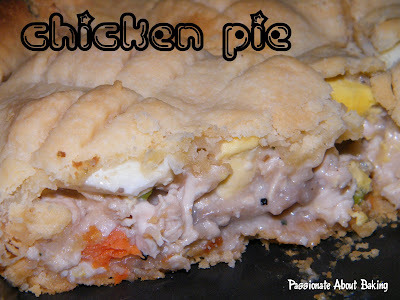 The taste was quite alright even though it was really hard and out of shape(?) When my dough didn't rise after two proofing, I suspected something was wrong. It really went wrong! Gee... Nevermind, I'll try another recipe some time later. 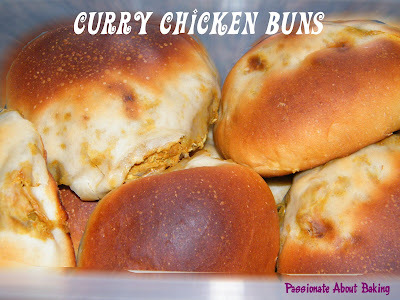 On Sunday, I decided to bake some sweet buns using the remaining pre-fermented dough. 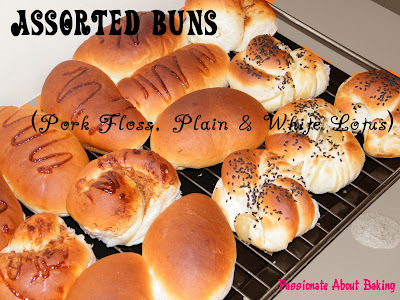 For sweet buns, I've always like to refer back to Alex Goh's Bread recipes. 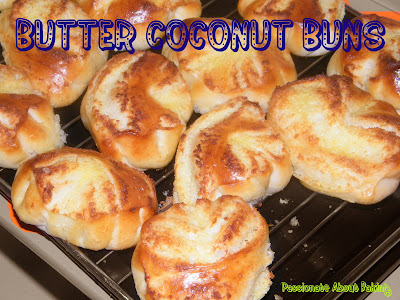 This time, I've decided to try the Butter Coconut Buns because I've some desiccated coconuts left from my previous bakes. Shaping the buns were some cheap thrill I've found! 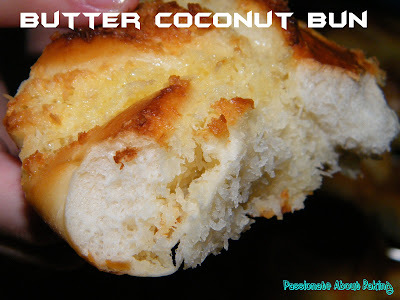 Recipe for Butter Coconut Buns, extracted from Alex Goh's World of Bread. 1. Mix (A) till well blended. Add (B) to form a dough, followed by (D). Add in (C) and knead until dough is elastic and smooth. 3. Divide dough into 16 portions. Shape into balls and leave it to rest for abt 15 mins. 4. Prepare the fillings: Cream butter and sugar till light and fluffy. Add egg and cream till smooth. Add desiccated coconut and mix till well blended. 6. 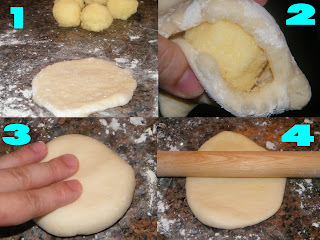 Lightly roll the bun dough flat (refer to 1). 7. Put the coconut filling on the sweet bun dough and wrap it up (refer to 2). 9. Fold into half moon shape (refer to 5), then fold it into half again (refer to 6). 10. 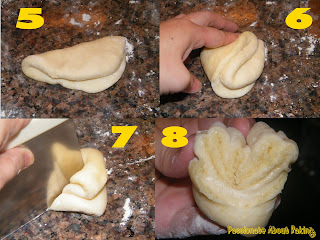 Using a dough cutter, cut an opening in the middle of the round edge (refer to 7). Then pull the opening apart gently and make a V-shape (refer to 8). 11. Carefully open up the inner face so you can see the filling. 12. Put them in a greased pan. 13. Leave to prove for 45mins or until they double in size. 14. 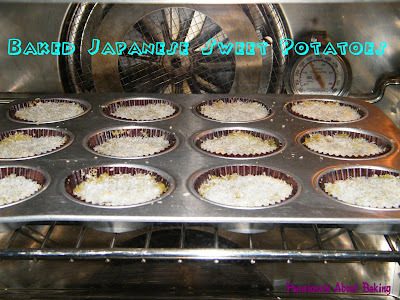 Brush with egg wash and bake at 190C for 12-15mins, or till golden brown. My last attempt of the Chocolate Cheesecake was very successfully. 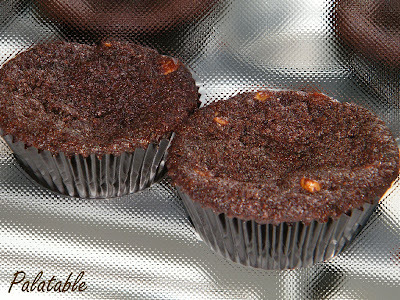 Therefore, I've decided to bake one more time, this time, for the special someone in my life-my dearest husband. When I asked him what cake he would like for his birthday, he said he didn't know. I suggested to him that I shall bake a chocolate cheesecake for him since my colleague has commented that the one I baked for her was good, he agreed. For someone who has been with me for the past 18 years (8 years courtship + 10 years marriage), it will worth any efforts it takes to bake a cake. Cheesecake is not as easy as a normal cake to bake. And it takes at least 24 hours before it can be consumed. So, preparation work is definitely a few days before the actual consumption. 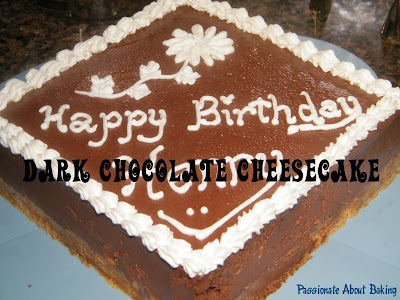 As I used Valrhona 60% chocolate, I would prefer to call this a dark chocolate cheesecake. I'm a big fan of dark chocolates, but I can't say he is! As the chocolates turned out to be slightly more bitter, I've decided to frost it with whipping cream so as to mellow the taste of the dark chocolate in the cheesecake. I also wanted to keep it simple, so this was the result of my simple frostings. Happy birthday to my dearest! Thank you for all your mental and physical support all these years! Register with Jane @ aloyallyanders(a)gmail(dot)com by 8 Novmber 2009. Payment is made via internet transfers to POSB Savings account 017261398. Confirmation will be given once payment is received.